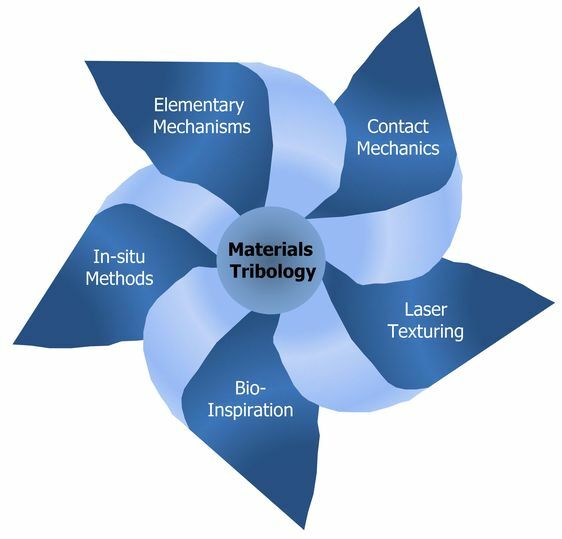 The group focuses on materials science aspects of materials under a tribological load. With this unique combination of scientific expertise and analytical tools we aim at strategically tayloring materials and microstructures for lower friction and less wear. We always have very attractive topics available for bachelor and master theses, so please do contact us in case you are interested in joining the group! nanoscale friction investigated with thermal AFM probes“, Mater. Res. Soc. Symp. Proc. C. Greiner, “Gecko-inspired Nanomaterials”, in the book series Nanomaterials for the Life Sciences, volume 7, Bio-mimetic and Bio-inspired Nanomaterials for Life Sciences published by Wiley-VCH. 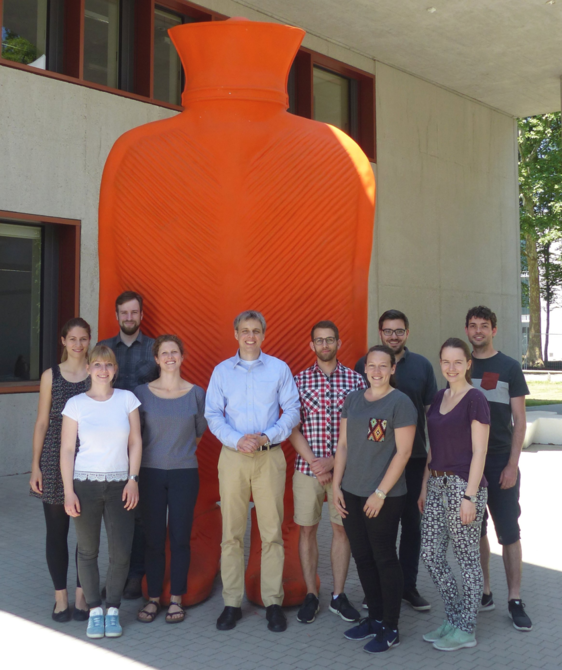 July 2017: Christian Haug joins the group as a new PhD student. Welcome Christian! August 2016: Dr. Xiang Chen from Prof. Ke Lu's group joins us as a PostDoc! Welcome Xiang! October 2015: Friederike Stolz joins the group as a PhD candidate. Welcome Friederike! Juni 2014: Sarah Becker joins the group as a PhD candidate. Welcome Sarah! October 2013: Zhilong Liu joins the group as a PhD candidate. Welcome Zhilong! January 2013: The Emmy Noether group starts and Uwe Popp has his first day as PhD candidate!